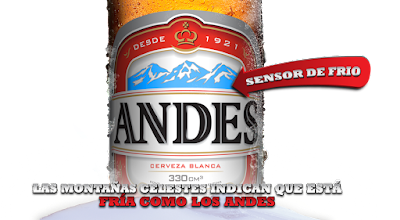 First of all apologies for the clickbait title...but I found it very ironic and innocuous to use, compared to what happened to the Andes Beer ads here below. One upon a time, there was this excellent beer brand out of Argentina called Andes beer. They were famous for groundbreaking ads like the "TeleTransporter", The Female Name Tornadoes, The Fairest night... but their best ads and my favorites are by far the "Lost" ads or Decubiados. "If you don't know when is the right time to drink a beer, we are going to tell you"
I made it a purpose to show this to each and every person whom I had known to be in the ad industry or an ad lover. I enjoyed the brilliance of these ads and wanted to share it with as many people possible....until the day where I saw these pathetic examples of advertising soiling our screens. I can only imagine what happened because I have a vivid imagination, but the public will never know the beauty of the original ads, just the silly stereotypical "men are from mars women are from venus" lame attempt at humor without any point behind it.